This nameless trail gets plenty of use. 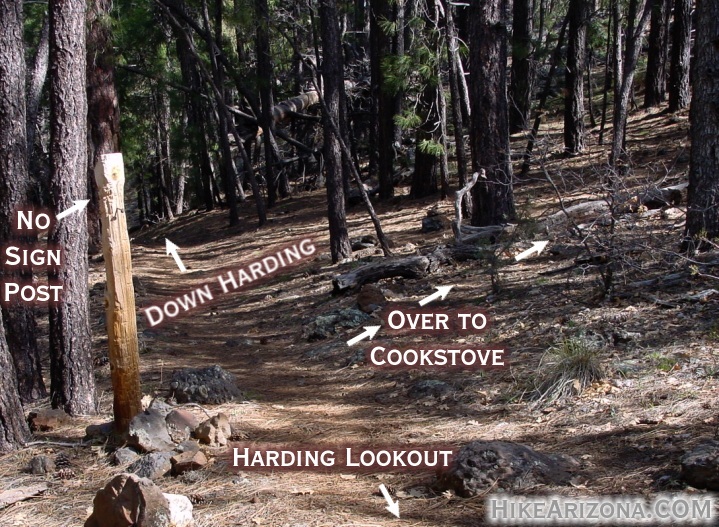 The trail serves as a connector between the Harding & Cookstove trails on the rim. 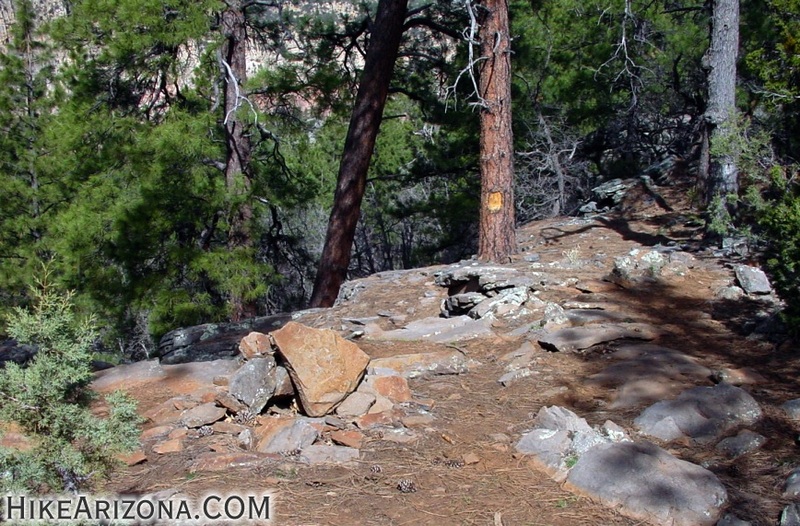 These two trails ascends the rim along 89A north of Sedona from popular campgrounds in Oak Creek Canyon. I decided to call this the HC Rim Trail. I prefer to go in just that direction, from Harding to Cookstove. Back in the late 1800's and early 1900's settlers ventured down from Flagstaff. They'd make it to the rim on the east side of Oak Creek Canyon in several areas. Many of these settlers blazed trails down the steep slopes. Then they'd homestead in Oak Creek Canyon below. 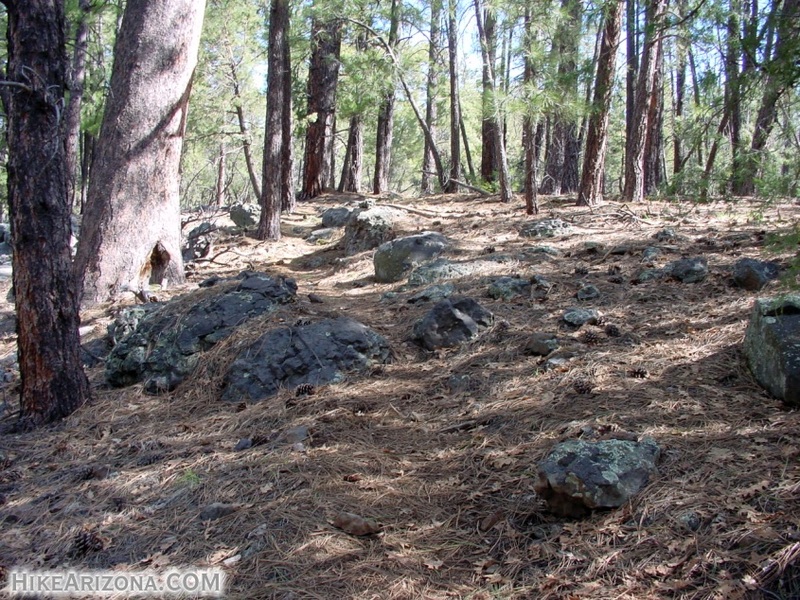 The settlers then used the trails to get back to Flagstaff for supplies in addition to selling their own goods. Today hikers and possibly hunters use the trails for recreation. I traveled this trail in both directions and feel it's easier to follow north. It starts off on the Harding end near a signless post. The trail is barely noticeable in areas. Pay attention, look ahead and you'll be fine. This trail is the real payoff for hiking either Harding or Cookstove. It's very peaceful as there isn't highway noise to bother you. The views are classic. In areas the opposing rim is in view. 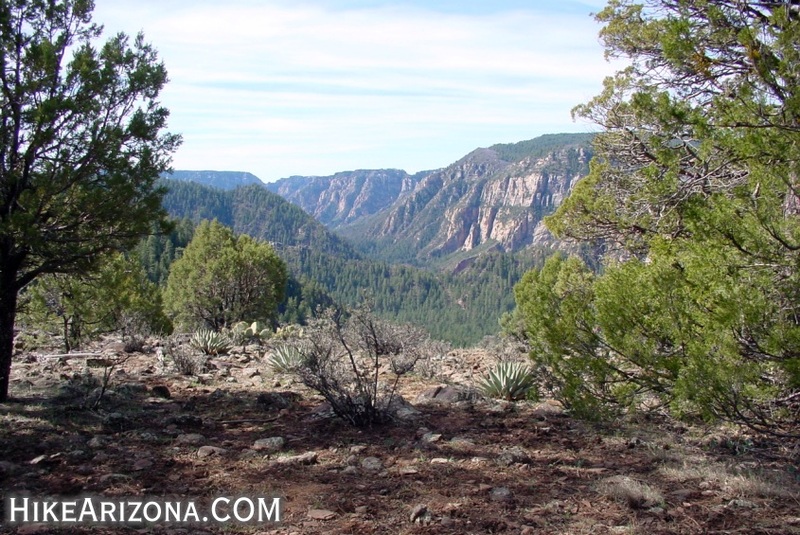 One section of the trail gives you a great view straight down Oak Creek Canyon towards Sedona. With a third of the trail to go nearing Cookstove you cross a creek. It may or may not be running depending on recent rainfall. You've reached the Cookstove trail when you spot a large notched tree on the edge of the rim. The Cookstove trail goes straight down, it's almost a down climb right from the edge. If you're on this trail it's likely you're doing a loop. I prefer the Harding to Cookstove direction. Going down the Cookstove seems more enjoyable then going up. To complete the loop you'll need to walk a mile alongside 89A. I prefer the south walk as there is more room on the west side of 89A. The total distance for this loop is about 3.8 miles and takes roughly two hours. An even better option in my opinion is to start at either end. Go up to the rim, over, down, then forget the highway and backtrack up the rim and down again. From either trailhead (Harding or Cookstove) this is about a 5.5 mile hike and takes around three hours to complete. This trail is accessible from the end of the Harding Springs or the Cookstove trail.